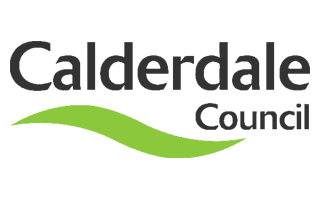 The Calder valley in Calderdale has regularly suffered from flooding, due to the topography of the area. The last severe flooding occurred on Boxing Day 2015. This dataset was initially created to provide data as part of the clean up operation. It now has details of the work that continues to be carried out to recover from the flood. More importantly, to help prevent the devastation happen again to such an extent, including innovations that arose from #FloodHack16. Businesses were able to apply for a repair and renew grant of up to £5,000. Property owners were encouraged to submit joint applications for the grant which helped them to get better value for money from their grants. Eg. 10 properties could add their grants together to have up to £50,000 worth of work carried out. The data includes part postcode, number of claims, number of businesses and amount paid. The Number of Claims column refers to the number of applications from each area postcode area, some applications were for multiple properties. The Number of Business Properties column refers to how many properties were covered and how many grant payments went out. The final column shows the total amount paid out for the postcode area. Flood Risk Asset Register is a Public Facing Asset Register, in accordance with section 21 of the Flood and Water Management Act 2010. The register contains basic information about the structures and features deemed to have an impact on flood risk, such as Asset Type, Asset Id’s and Watercourse name. The Flood Network map includes various local flood sensors that are part of the Things Network. Below are readings from sensors in Calderdale visualised by ODI Leeds.